Writing the 28 Days project has been a lot of fun so far. It’s great to analytically dig through my collection and share what I find. What’s really been a blast has been looking at old yo-yos with a new perspective. Take, for instance, the Wing Force by Yomega. 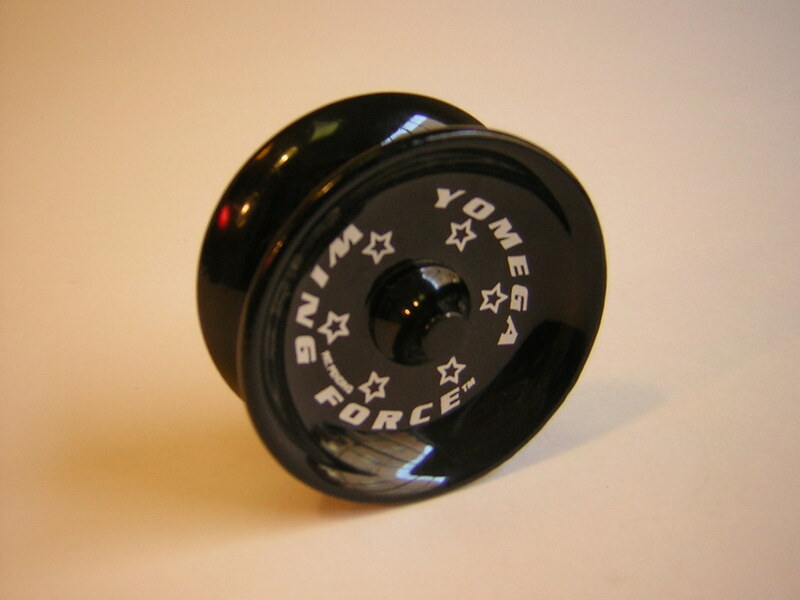 The Wing Force, manufactured in 1998, was Yomega’s first “butterfly” shaped aluminum yo-yo. Upon first glance, the only thing that makes this yo-yo interesting is it’s very narrow body, but I was surprised when I opened mine up and found a removable spacer system that also doubled as a friction sticker surface. When I thought about it more, I remembered that Yomega had a hard time selling all of their Wing Forces, so they actually experimented with various machining methods to update their pieces still in stock. The original model was a starburst yo-yo, which might have worked if not for the thick powder coat paint that ended up smoothing over the starburst teeth. The later models had a deep area lathed away where the starbursts used to be. The Raider style spacers had been replaced with a new, wide spacer system that was designed to fit the old friction stickers made by Custom. 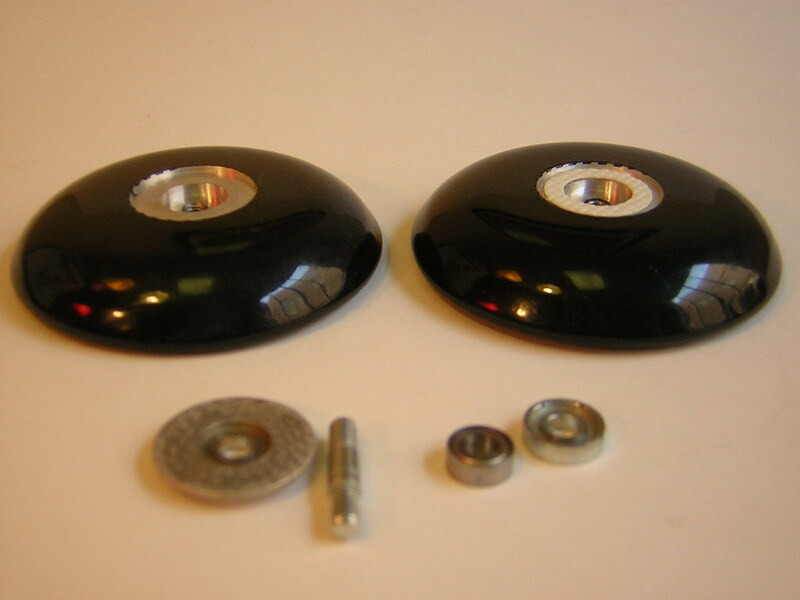 It seems that Yomega made the precursor to the SPR system currently made by Buzz-On Yo-Yos. Since they were designed for a smaller friction sticker, the Yomega Wing Force spacers are slightly narrower than SPR spacers, but the design is very similar otherwise. SPR systems even fit great into Wing Forces. With the narrow gap though, the yo-yo was far to responsive, I took out one of the wide spacers and replaced it with a Raider spacer. I then put the friction sticker into the gap that used to be covered by the wider spacer. This recessed sticker worked great if I only did it on one side and had a wide spacer with no sticker on it, but two recessed stickers were not responsive enough to get decent response. If only we’d known about bind returns back then. Hey its skip from the forums, awesome description mate! Looks like a fun yoyo too play! 1. They changed the design because of Tom Van Dan Elsen. he had a patent on starbursts that were cut into (instead of popping out of) metal yo-yos. The Wing-force originally shipped with this recessed star-burst. They changed the design as time went on, I suspect that the spacer system you have were re-machined parts so that could re-use the parts that violated the patent. 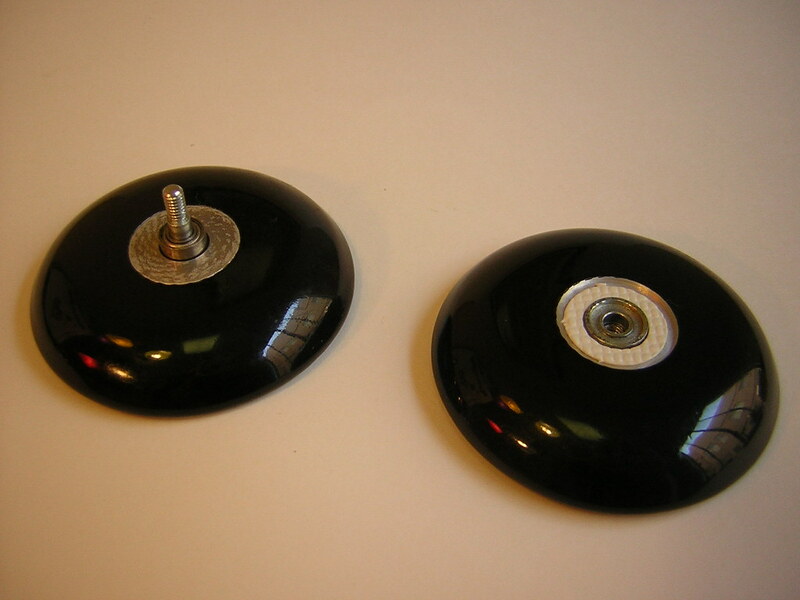 Also, this was the yo-yo that Mark McBride invented Velvet Rolls on and started 3A. He first showed the trick to the public in 1998 at the Groundhogs Day Juggling festival in Atlanta Ga. I made a video of him doing this with these yo-yos. 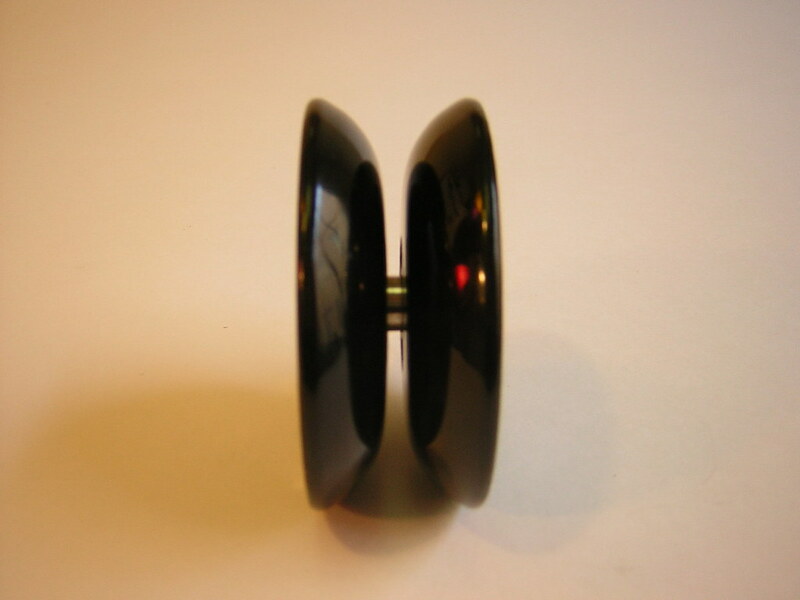 They made this yo-yo in white and black. There were many less white ones made than black. Great info Greg. I’d love to see those inside starbursts. Researching this article, I kept finding mentions of patent issues, but I wasn’t sure what they were. Now I know. Did this ship with the stickers? It shipped with some stickers, but I can’t recall if these are them. 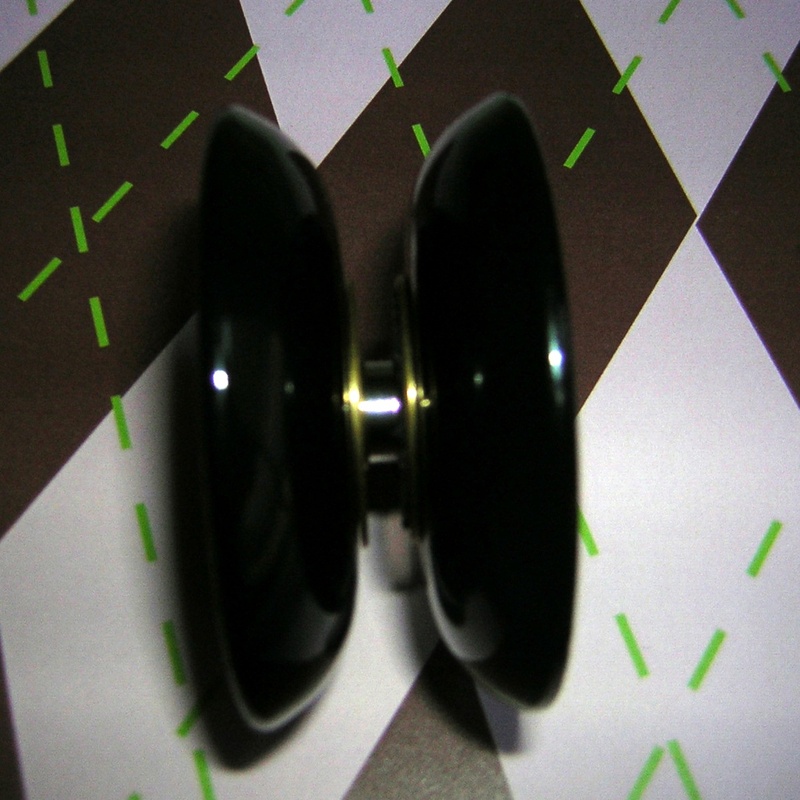 I hardly touched the yo-yo or even thought much about it until yesterday, I sent an email to Yomega who confirmed that they shipped the yo-yos with this spacer and a set of stickers, but nobody there could remember exactly what type of stickers. It’s possible they sent them to Custom to be re-lathed and stickered since custom had so much experience with them. It’s a shame they didn’t realize they could just lathe a whole big enough for stickers without needing the extra large spacer. They had to make it that big, that’s about how big the recessed starburst they were getting rid of took up. what about the firestorm wing which was out well before 1998. What about the Firestorm wing? Are you asking about it because it another butterfly yo-yo by yomega, or was there something else you were trying to bring up?